Shoes have long been the subject of fetishes, books, art and tradition. From henna tattooed feet to bound feet to shoe designers like Christian Louboutin and Jimmy Choo, footwear is of interest to both shopaholics and penny pinchers. Whether you have a closet full of $500 shoes or just one pair of Birkenstocks, shoes are worn by just about everyone. Admire from a distance is exactly what you do when you visit Liza Snook’s Virtual Shoe Museum. 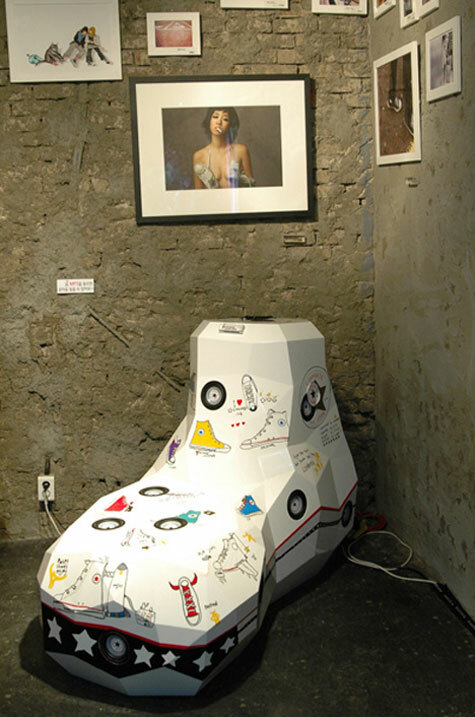 The museum dates back to 2004 when Ms. Snook started to exchange ideas with designers, publishers, photographers and other people connected to the shoe business. 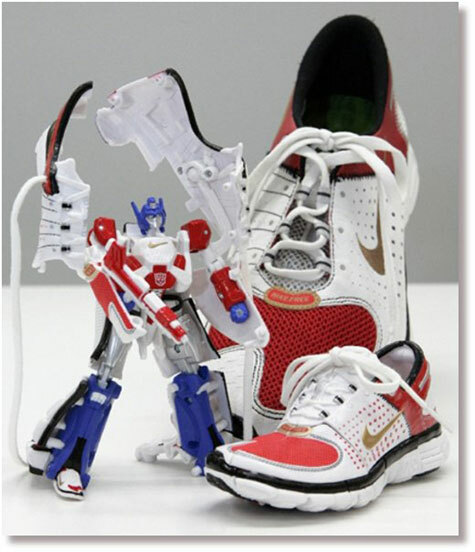 The result has been a wonderful collection of beautiful, extravagant, exciting, thought provoking shoes both real and virtual from all over the world. Searchable by everything from the designer’s name to the focus, use or style, the site is filled with imaginative and beautiful designs. Even sculpture. Be sure to look at the ‘extreme’ section. 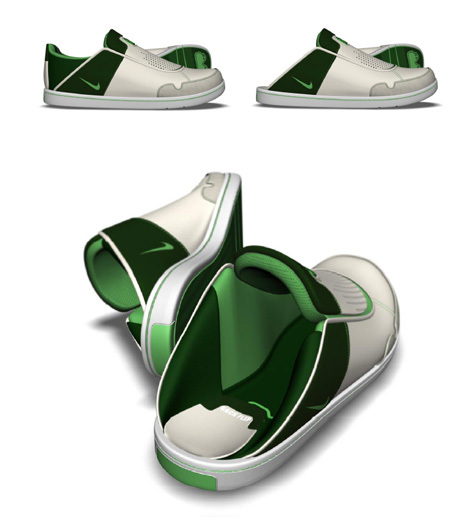 Pioneer is a shoe that converts the kinetic energy of walking into electrical energy, which powers a headlight at the front of the shoe. 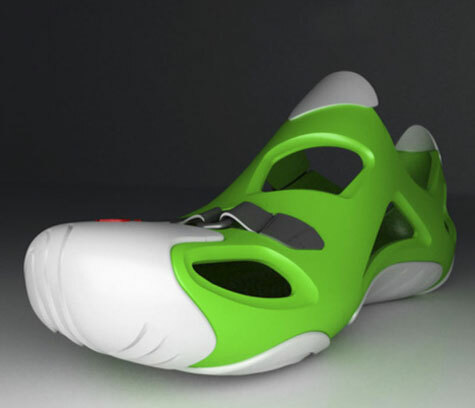 Chen Feijun and Zhao Bin designed a shoe ,Pioneer, that converts the kinetic energy of walking into electrical energy, which powers a headlight at the front of the shoe. 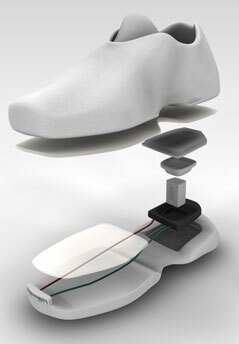 The red dot award: design concept 2007 winner is a smart fashion choice for any evening/ night activity. The Lofu is infinitely sportier, trendier, and less likely to illicit finger pointing and laughter from onlookers. There’s a slight Diesel-esque quality about them so they seem to dress well with almost anything. In fact I have them on now with a dark pair of denim jeans and they look great, just like a pair of sneakers. 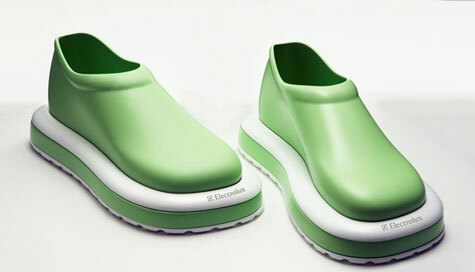 That’s perhaps the best part about the Lofu, utility and comfort like Crocs with a lot more wearability. Show of hands who have shoved their feet into their sneaker quickly, thus creasing the heel turning them into mules? It can’t only just be me because Sofie Collin’s research into the Nike brand revealed it’s something people, particularly women want. Add a funky flavor to your phone calls. 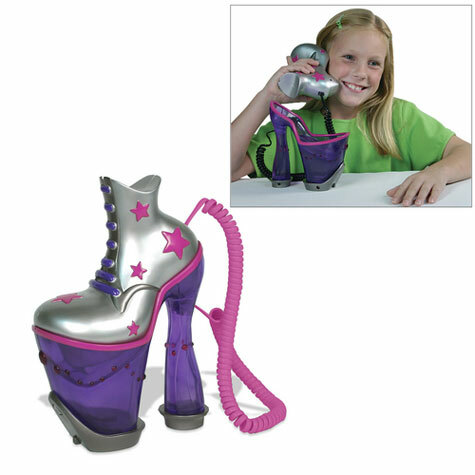 This disco diva shoe-shaped phone operates as a normal telephone with disco ring tones. Disco darlings are sure to love the flashing lights and outrageous design. Includes three funky ring tones to choose from. Measures 6.4″ x 4″ x 9.4″.